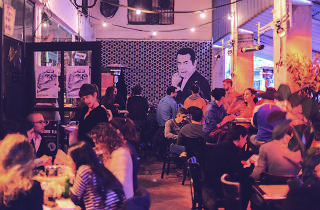 Possibly the coolest spot in Tel Aviv, this outdoor hangout is the capital of Tel Avivian hipster life. Located just across from the largest synagogue in Tel Aviv, you won’t find anyone praying here. 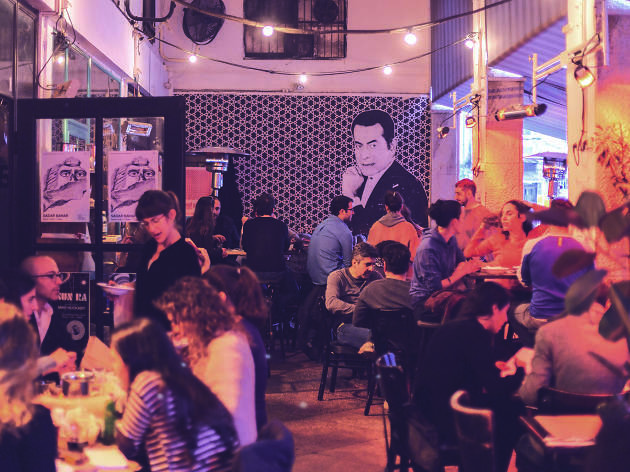 With a massive vinyl collection, the hippest waitresses, and a food menu created under the supervision of iconic Israeli chef, Eyal Shani (of Miznon and Beit Romano), you’ll understand why Port Said has been successfully serving the young communities of Tel Aviv for years. Featuring innovative Israeli dishes, there is always a new menu addition to savor. While the wait may be long and the energy intense, no visit to Tel Aviv is complete without an evening at this iconic spot. So grab a Goldstar, some delectable food, and spend your night chilling under the stars with the locals at Port Said.